Gook-chul moved on to his next step to win over Jung-eun, which was a gift of a necklace. He rehearsed his lines he prepared for the event but hid the necklace when she found him in the dressing room. Gook-chul showed the necklace in his palm without saying anything, so Jung-eun mistook it as his…and put it around his neck. lol that was a cute misunderstanding! 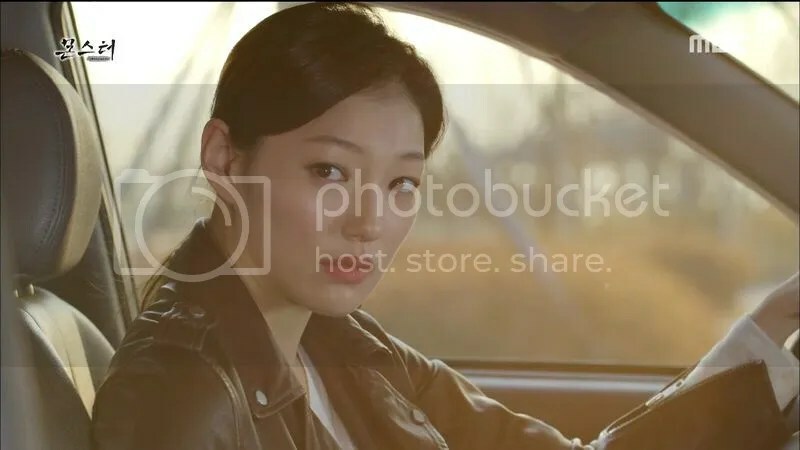 Of course, Gook-chul did not expect that twist and Jung-eun’s comment about how the necklace did not suit him made him angry, and he threw it into the laundry basket. Jung-eun took it, thinking that it did not suit a guy like him but it looked decent on her. And Gook-chul was happy when he found the empty case, knowing that she received the gift! That was also the moment he received the call from an unknown man, claiming that he knew about the person behind the parents’ death. This man was Go Joo-tae, and he told Gook-chul to go to the pathology lab at the hospital and see if there was a red raincoat there. He would tell the details after Gook-chul believe him and deposit the sum of money he would set afterwards, hence luring Gook-chul to the lab. 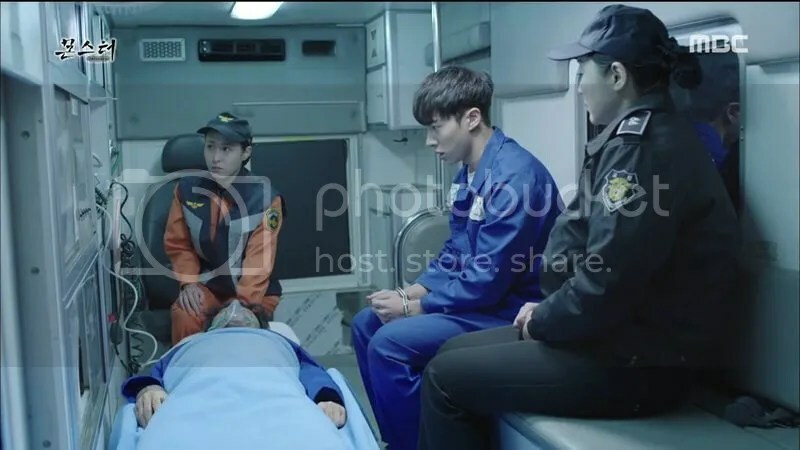 Joo-tae also went there under Il-jae’s order to take out the secret weapon: a virus strain under the hospital’s research but was abandoned, although the vaccine research was nearing its completion. 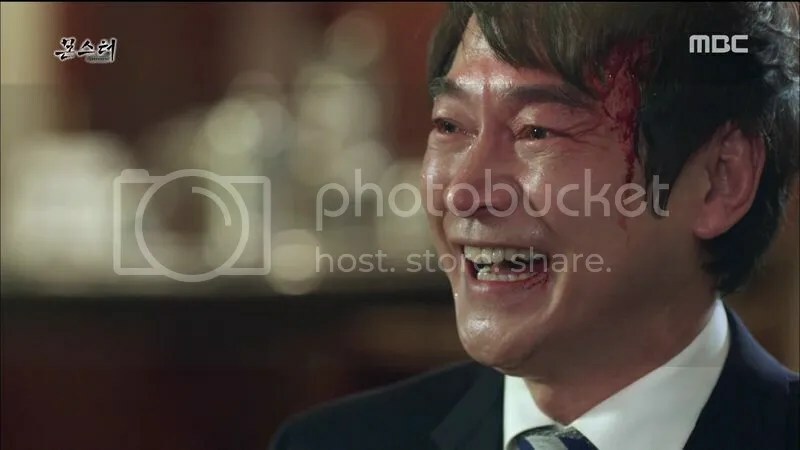 Il-jae planned to kill Gook-chul using the virus and put the blame on him for killing Man-ok to revoke Gook-chul’s rights on the family inheritance. Jung-eun was the one accompanying Gook-chul to the lab and they tried to find the red raincoat, but Joo-tae had set the virus to explode after they entered the place and locked them inside. Gook-chul realized that it was the virus and took out the vaccine stored there, telling Jung-eun to take the only shot. She refused to do so, as letting him die would mean the end for her brother as well. In the end, Jung-eun reached for the syringe and gave Gook-chul the vaccine, telling him to take care of her sickly brother. They passed out but still survived, although their conditions remained a mystery since the effect of the virus was relatively unknown. Jung-eun’s father who was on his night duty at that time, was also exposed to it as well when he tried to save them. Man-ok’s body was found and the suspect turned out to be Joo-tae. 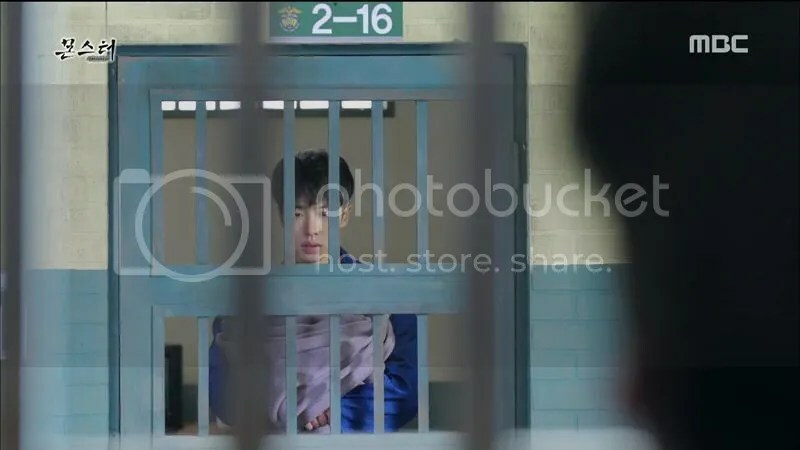 With his remarkable criminal record, Joo-tae was the perfect scapegoat chosen by Il-jae, with a huge sum of money at stake. Ji-soo was relieved that someone would take the blame instead of her, while Il-jae wanted her to forget everything. No, you should remember it forever and be haunted by your crime every single night. Thing were not going as smooth as he expected to be when Il-jae received the news about Gook-chul surviving the virus and had woken up. Putting his best fake-angry mask, he went to Gook-chul and demanded to know why his nephew paid Joo-tae to kill his own aunt. It turns out that Secretary Ok was not on either side, because she got her own side: a secret defense organization aiming for the vaccine, and Gook-chul became their next target since he had the vaccine in his blood. Too late for that because that kid was sent to the penitentiary, and Gook-chul was looking forward to meet Joo-tae there. 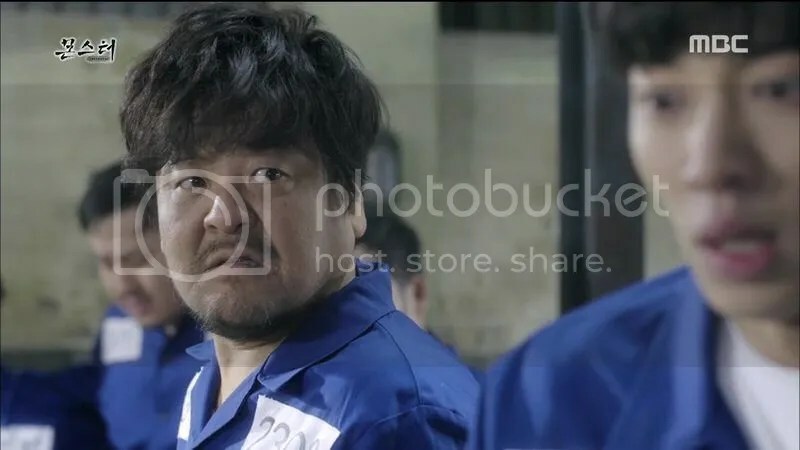 I guess he was lucky because that guy was also there in the cell across Gook-chul’s, and Gook-chul’s super hearing enabled him to recognize that Joo-tae’s voice and eavesdrop on him. At least Gook-chul knew how to take care of himself thanks to his habit of suspecting people around him, and he made use of his heightened other senses against Joo-tae’s gang. Il-jae was not going to let his nephew live just like that and ordered Joo-tae to kill him, but he managed to save himself. 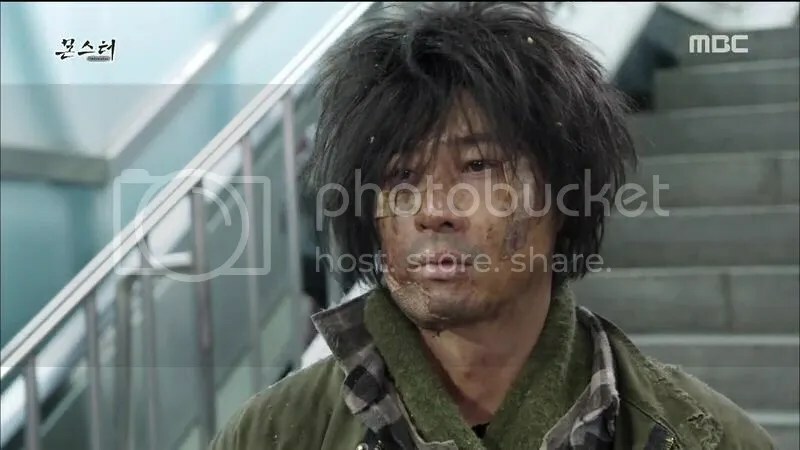 A young guy who had been beaten by Joo-tae warned Gook-chul to be careful of the gang, and Gook-chul offered him a chance of getting his revenge on those people who bullied him. Not a difficult task, considering that he only had to help Gook-chul a bit. Following the gang into the washroom, the bullied guy guided Gook-chul by muttering the direction under his breath (and getting stoked over Gook-chul’s super hearing. Heeeee~). Without thinking much, the determined kid barged into the stall Joo-tae was doing his business and locked the door. He brought out a rope from his pocket not to kill Joo-tae, but to hang himself and frame Joo-tae for that crime. The bullied guy alerted the wardens and Gook-chul delivered a perfect acting in front of them, leading to Joo-tae being shot with a stun gun. Now that Joo-tae was cornered, he would have to sell out the person who ordered him to kill Gook-chul, and Gook-chul wondered if he would like to make a deal with him. 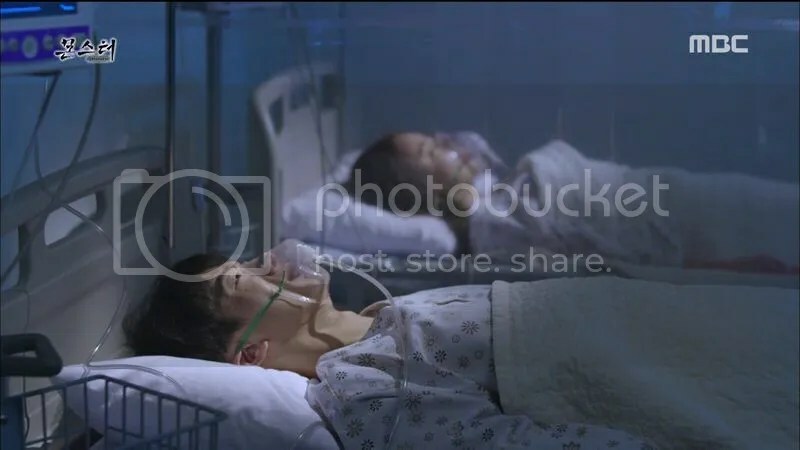 Joo-tae refused the offer (as expected) but he started to develop the symptoms of being infected with the virus since he was there at the hospital. 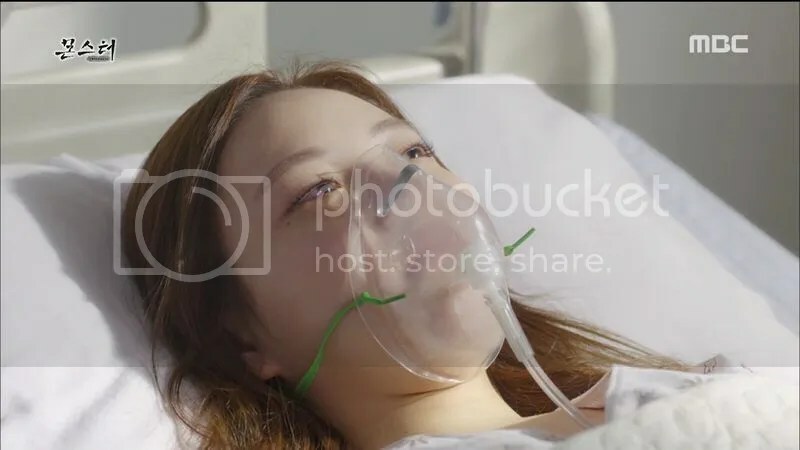 Meanwhile, Jung-eun finally regained her consciousness thanks to the serum extracted from Gook-chul’s blood, and he was happy to learn about it through the news. 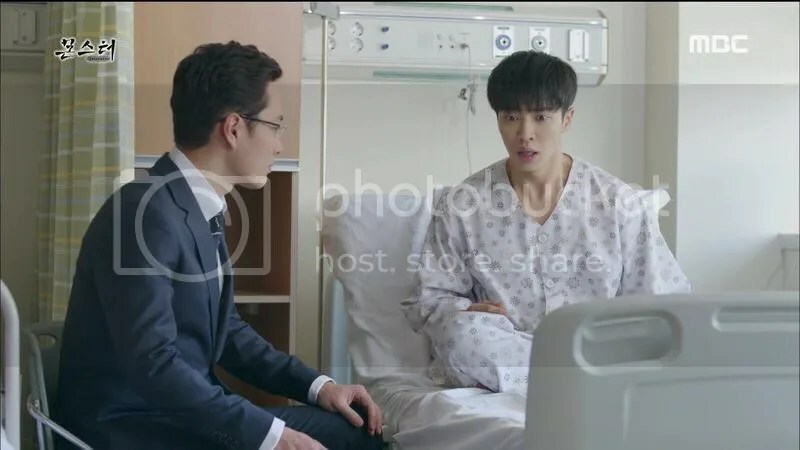 Joo-tae begged for Gook-chul to save his life using his blood and decided to tell him the real person behind everything after hesitating a bit. Gook-chul now knew that the real devil was his uncle, who was basking in the glory of being the new chairman of Sudo Medical Center. The time called for a celebration between Kwang-woo and Il-jae, but Il-jae made the decision not to sell the hospital to Dodo. 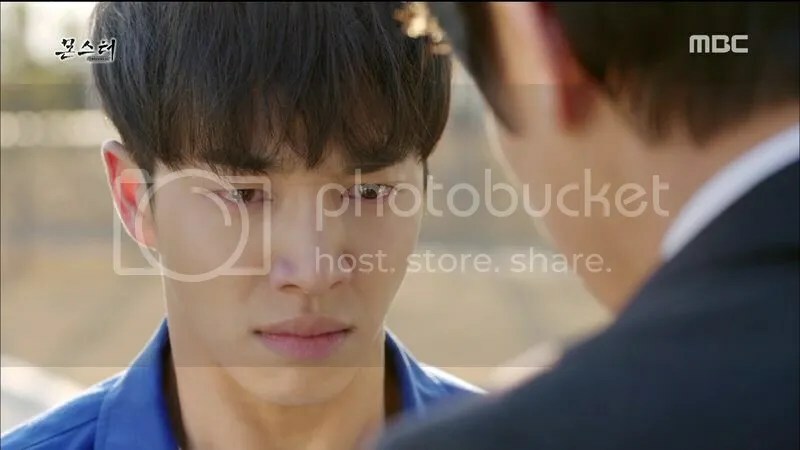 Heh, he finally unveiled his true nature in front of Kwang-woo and told him to be careful, because he would be the one doing the blackmails and threats from now on. 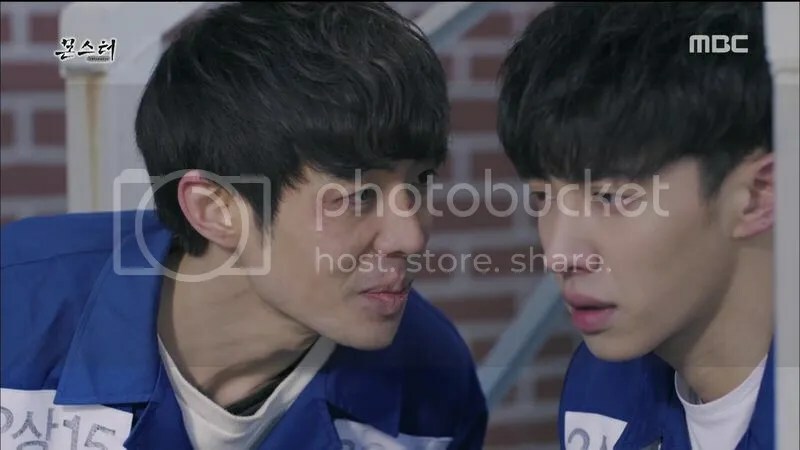 Kwang-woo was told to learn some basic manners before making his offer again, and Il-jae became a winner in yet another fight of his. Still, Gook-chul also knew that Dodo Group had something to do with his parents’ death and he decided to help Joo-tae. However, the guy died on their way to the hospital. Il-jae was not happy at all to see his nephew alive and walking, but he approached Gook-chul to offer his help in proving Gook-chul’s innocence since he was his only family. Gook-chul gritted his teeth and thanked his so-called uncle, but he surely had something planned in his mind. As he had to be warded for more blood transfusion, he asked for the prosecutor in charge of the case instead of his attorney. He told the prosecutor about his suspicion and pleaded for the investigation to be conducted again from the very beginning, but it was a bad move because that prosecutor was Il-jae’s man. Il-jae suggested for Gook-chul to be sent to a mental hospital with the reason being his unstable mind. Secretary Ok had been watching over Gook-chul ever since he arrived at the hospital and went into his ward as a laundry worker. 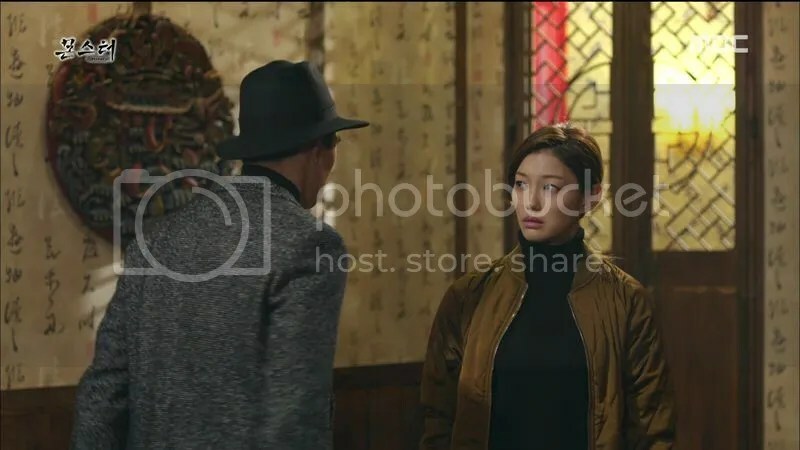 She snuck him out and barely escaped Il-jae’s prying eyes, but they were not that lucky after Il-jae realized that Gook-chul had been missing. The police was quick to act and Gook-chul had to hide in the neighbourhood, while Il-jae continued looking around for him. 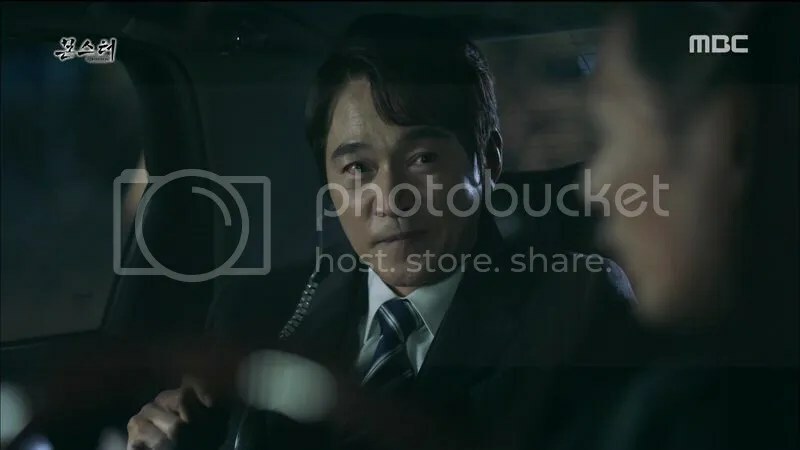 Realizing that it would be even more dangerous once the day breaks, Secretary Ok made Gook-chul fetch a taxi to Chinatown, but Il-jae happened to see him and posed as a taxi driver. Gook-chul sensed that the car had smooth leather seat and smelled nice unlike normal taxis before Secretary Ok called him to tell that it was his uncle’s car. She helped to block the car and Gook-chul got out of it, but she had to escape before he could join her. 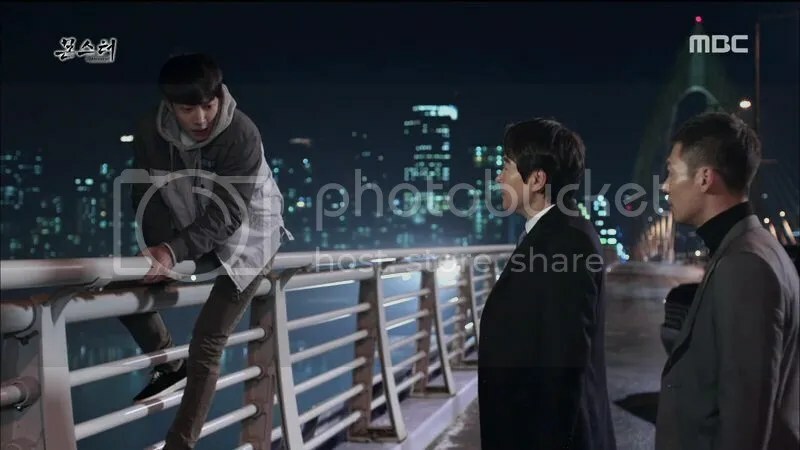 Cornered by Il-jae, Gook-chul climbed on the bridge railings and threatened to jump into the river. He promised to stay alive and come back for a revenge, but Il-jae did not expect him to really jump. 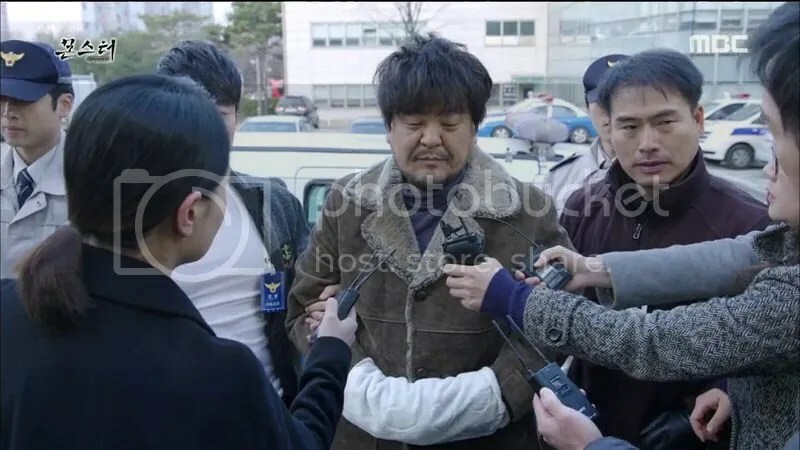 Still, Il-jae made a bad decision to let the police find Gook-chul’s body instead of doing it himself. 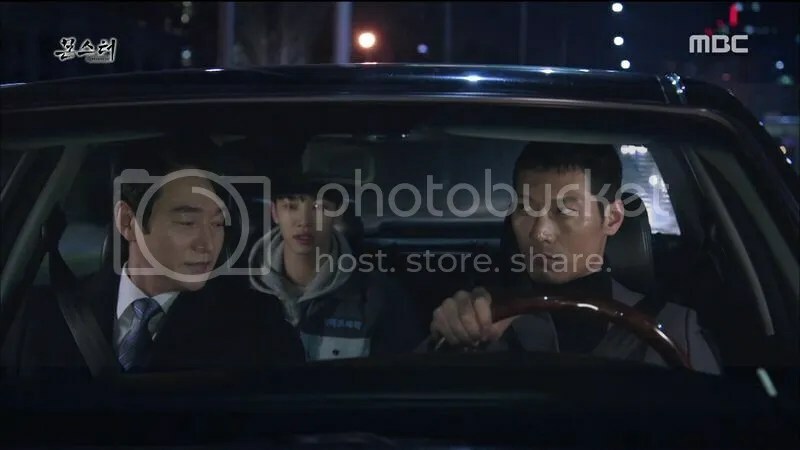 The secret of Il-jae’s relationship with Ji-soo finally reached her father’s ears (I bet Kwang-woo was the culprit), and Hwang Jae-man (Lee Duk-hwa) appeared in front of the hotel suite where they spent their time together with his bodyguards. Daddy Hwang wasted no time to beat Il-jae to a pulp, and now we knew why everyone was so afraid of him! 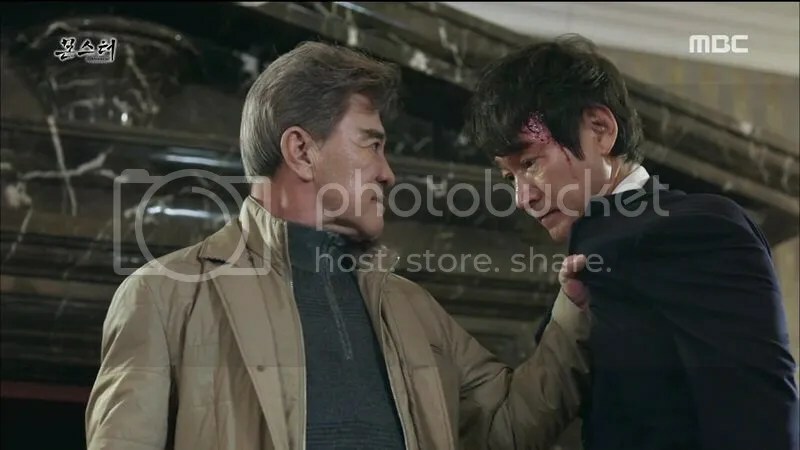 Il-jae took a beating like a champ, simply because he had a good card in his hand, that was Ji-soo being Man-ok’s real murderer. That sure made an impression on Daddy Hwang, and Il-jae wished for him to become the President as a compensation for the hell he had to live in. Well, he was already a devil to be gin with. Just look at that maniacal laughter. He must have gotten a long life ahead of him because he survived the fall and the water, and Gook-chul walked out of the river. 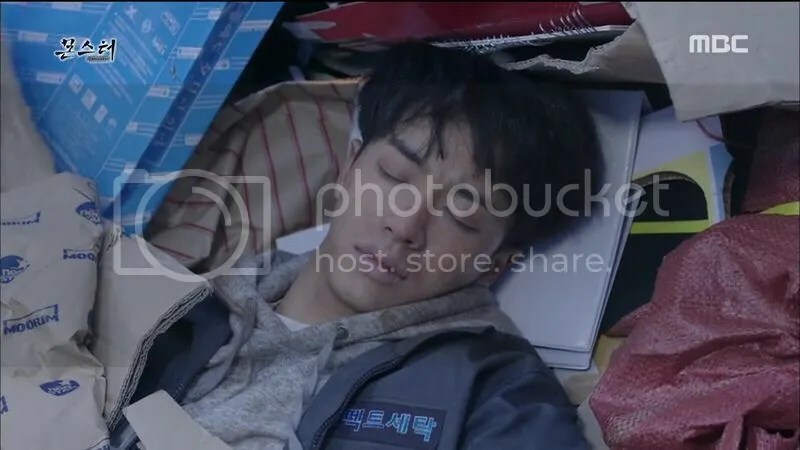 He approached a garbage truck and the next thing we knew, several kids found a body in the mountain of trash, which turned out to be a sleeping Gook-chul. He was reborn in the midst of all the garbage and he did not have even an ounce of regret over it, as long as he was still alive to carry out his revenge. We traveled forward to 2010, where he became a beggar walking from one place to another. Just like a fate, someone ran into him and he recognized the owner of the voice as Secretary Ok.. I am happy that the plot is moving fast, because we are seeing the adults next week! Although it will be sad to say goodbye to the younger version of them, showing how pitiful Gook-chul is will only turn this into a makjang, so it is better to bring him one step closer to his target rather than wallowing in pity. He has met his saviour and benefactor (albeit with a hidden intention) so he is just getting started. Now that he is aware of everything, including his eyes which can be treated, it’s time for Lee Gook-chul to hide and Kang Ki-tan to appear. It is nice to see Il-jae cowering in front of Daddy Hwang and getting a good hit although it was just for a short moment he had the upper hand, because there will be times in the future when I would want to smack his face. I guess it will also be a competition to see who is the worst man, and who will be the ultimate tyrant/monster to rule them all. With more cast appearing next week, it will definitely get better since the foundation is all set up for the story to move forward. Next Post Entertainer’s First Teaser Unveiled! Ouch!! !… I would love to give Il Jae a good slap too. Now that the adult cast is going to show next week I think it will put everything in motion. Sooo read you again next week. Take care of your self and have a good week. LOL he deserves all the slaps in the world tbh. So excited for the rest of the cast to show up!